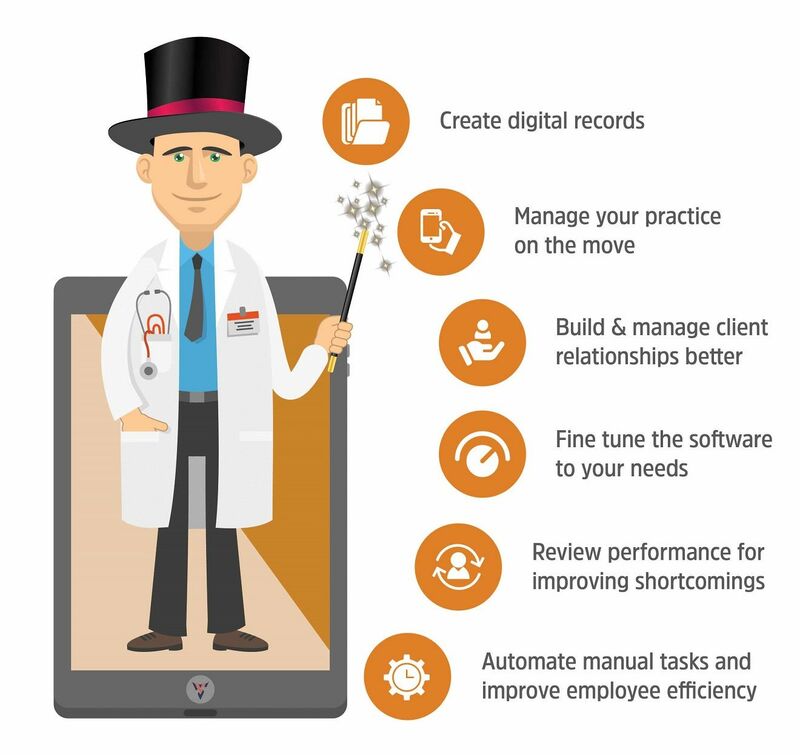 As a veterinary practice functioning in the 21st century, or more precisely, the digital era, it is imperative for your clinic or hospital to have a practice management software. Such a tool isn’t just a fancy addition to the computers at the reception desk or inside your consultation room, but also a highly advantageous solution that takes care of everyday operations while also ironing out inefficiencies and paving way for the growth of your practice. Sadly, however, most veterinarians, nurses, and other employees at a veterinary clinic, hospital, or care center invest very little time and effort into fully understanding and utilizing the capabilities of such a software. As a result, the PMS gets reduced to a glorified cash register, with clinic owners wondering why they made the investment in the first place. Before you get pulled into this trap, consider these tips that help you make the most out of your veterinary PMS. The day to day activities at your veterinary care center involves many tasks that are repetitive in nature and which are performed manually. These mundane tasks consume a lot of precious man-hours, which could be utilized in more important activities that require manual intervention. A veterinary practice management software serves as your best friend in such times of need by automating full or partly, monotonous tasks in your practice. A typical example is the registration and appointment scheduling process. Having a receptionist or staff attend to calls, emails, or messages for appointments can be extremely tedious, especially during peak hours or when you are short-staffed. A PMS like VETport, on the other hand, makes it possible for your clients to book appointments online and register their pets through self-check-in kiosks. Billing and invoicing, reminders for follow-up or vaccination, calendar scheduling, pet admissions, etc. are few other areas that the software helps with. Sadly, however, most veterinarians, nurses, and other employees at a veterinary clinic, hospital, or care center invest very little time and effort into fully understanding and utilizing the capabilities of such a software. As a result, the PMS gets reduced to a glorified cash register, with clinic owners wondering why they made the investment in the first place. A veterinary practice is one that involves a lot of paperwork – pet registrations forms, medical files, case histories, diagnostic reports, bills and invoices, inventory and stock lists, and so on. These documents need to be maintained handy for easy retrieval from time to time or when necessary. They need to be stored within drawers, shelves, or cupboards in earmarked areas, thereby consuming space and posing constraints in smaller clinics or care centers. A veterinary PMS makes it possible for you to store all such records in a digital format, which not only saves physical space, but also makes creation, modification, and retrieval simple and hassle-free. For instance, VETport allows you to create and edit electronic medical records, read diagnostic reports directly from labs and related service providers, maintain online registers for clients and pet admissions, create digital stock files and inventory lists, and so on. All these documents, when saved into VETport’s cloud-based application, can be accessed easily through an internet-enabled PC, laptop, or smartphone. Digital records created through cloud-based solutions give you the freedom to care for animal companions or manage your practice even when on the move. This means that almost all functionalities available in the PMS installed on your clinic’s PC is available outside it; something as simple as logging into your mailbox using a login ID and password. Cloud-based solutions make veterinary practices flexible and accessible even from remote locations. So, the next time you need to attend a conference at a faraway location or cater to an emergency case outside your clinic, you can carry and access all necessary info at the click of a button or the swipe of a finger. 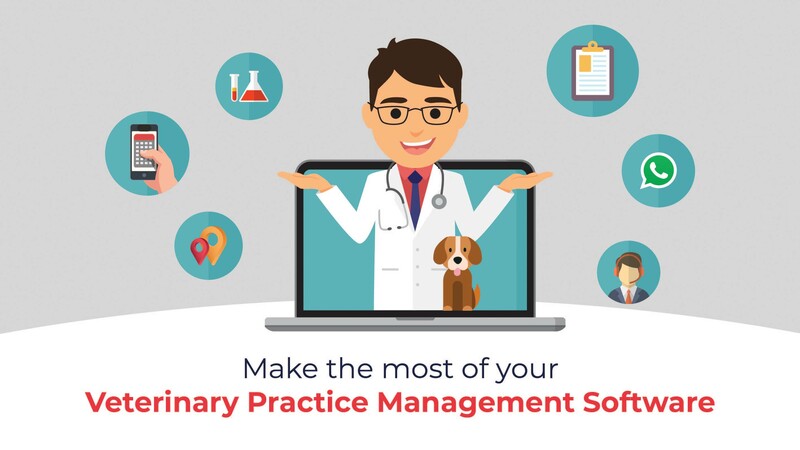 Veterinarians who employ a practice management software for tasks beyond billing and invoicing often restrict its use to everyday activities. However, a powerful software like VETport is what can garner attention from prospective clients and give your practice the thrust it needs. Marketing and client relationship management features that are woven into the software helps you build beautiful websites, send promotional emails, customized postcards, seasonal SMS-es, and the like. The solution also carries client loyalty programs and reward features, which allow you to nurture existing and build long-standing client relationships through cashback rewards, discounts etc. Business analytics, like marketing, is rarely used by veterinarians, simply because numbers aren’t their cup of tea or they lack the time and patience to experience the wonders it does for your practice. However, analytics is a potent tool that can take your practice from where it is currently to where you want it to be. Reports derived through business analytics gives you snapshots of current performance, thus helping you benchmark current performance against competitors and enabling you to focus on areas that need improvement. A good veterinary practice management software allows its user to customize the interface and features to their liking. For example, VETport allows users to customize the dashboard, create unique electronic medical records and examination forms, design specific templates for marketing communication, and choose flexible pricing plans among many others. This makes the software more user-friendly and easily adaptable for veterinarians who are making the switch to a practice management system for the first time. Utilizing a veterinary practice management software to its fullest capabilities requires a bit of patience and effort, but isn’t as herculean as most practitioners and staff believe. Live demos and FAQ sections are a good starting point for anyone who is testing the waters with a software like VETport. Once you get a hang of how things work, feel free to explore help and information files that explain sections, features, or modules in detail. Finally, get in touch with the 24/7 customer support for queries that you have or troubles that you are faced with.